Iaido "pronounced as yee-eye-doh" is a traditional Japanese art of swordsmanship designed to contribute to self development through moving meditation. Iaido practice consists of basic footwork, swinging of the sword, and kata (form) which is performed alone against imaginary attackers. Karate, Kendo, Bo-jutsu, Iaido punch-cards are interchangeable. 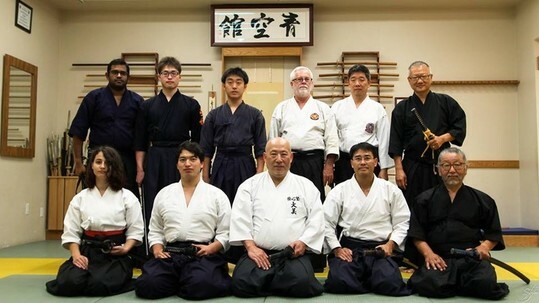 No prior kendo or iaido experience is required. Use of a metal sword is optional. Children must be at least 12 year old to participate. Visit our Yushin-juku Kendo Facebook Group page!